Here’s a holiday/winter STEM idea that adults will love trying as much as kids. Left Brain Craft Brain has all the details for making an invitation to build tinkering trees. These are pretty easy setup, particularly if you’re at home and have some hardware handy, but even if you have to go buy things it’s pretty low prep. 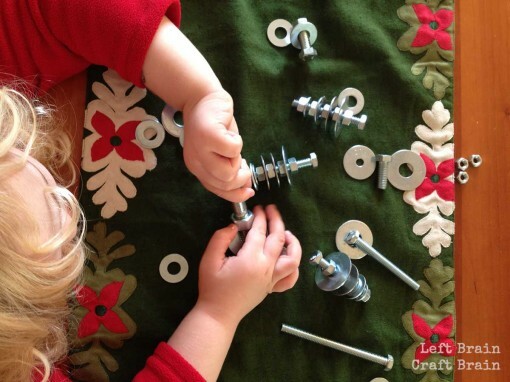 This is a great opportunity for kids to play with bolts and nuts and to get them thinking about how to make a tree shape. And they’re pretty darn cute in the end, too.